Interview with James Lowe and Haochen Zhang (Part 1). Interview with James Lowe and Haochen Zhang (Part 2). (from left) Haochen Zhang, Verne Windham and James Lowe. 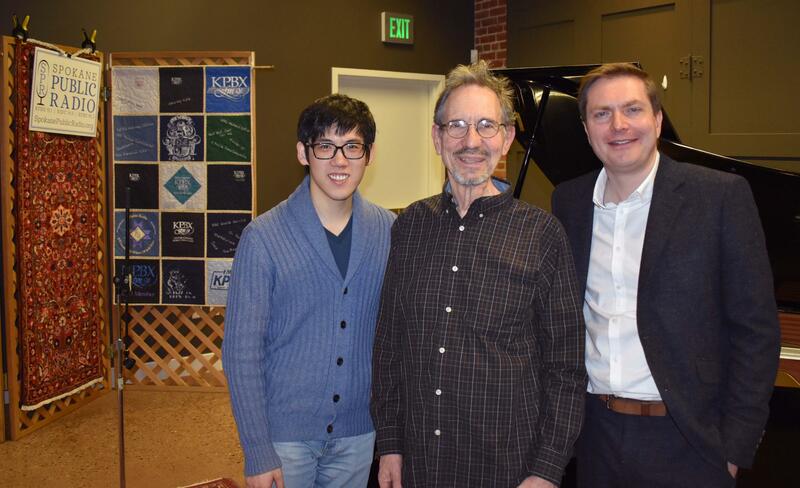 On this cold, snowy morning, two musical men arrived at our station for an interview: Spokane Symphony Music Director Finalist and Guest Conductor James Lowe and accomplished pianist Haochen Zhang, who will feature in the symphony's upcoming “Classics 6: Passion’s Pursuit” concert. Performances will be at 8 PM on Saturday, February 16 and 3 PM on Sunday, February 17 in the Martin Woldson Theatre at The Fox.